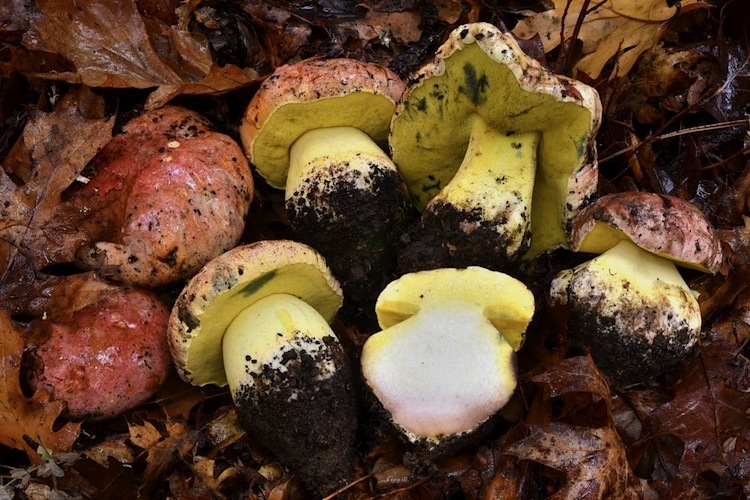 Butyriboletus in our area are medium-sized to large boletes that have striking yellow pores and flesh that often stain blue, reticulate stipe surfaces, and brown or beautiful rosy-red caps. All are ectomycorrhizal with hardwoods. Very popular as edibles due to their attractive coloration, large size, and firm, dense texture. Occuring mostly in the fall, but their fruiting patterns are somewhat erratic, being abundant in some years and mostly absent in others. Identification of species within the genus is relatively simple, based on cap color (brown versus rosy or pinkish-red). 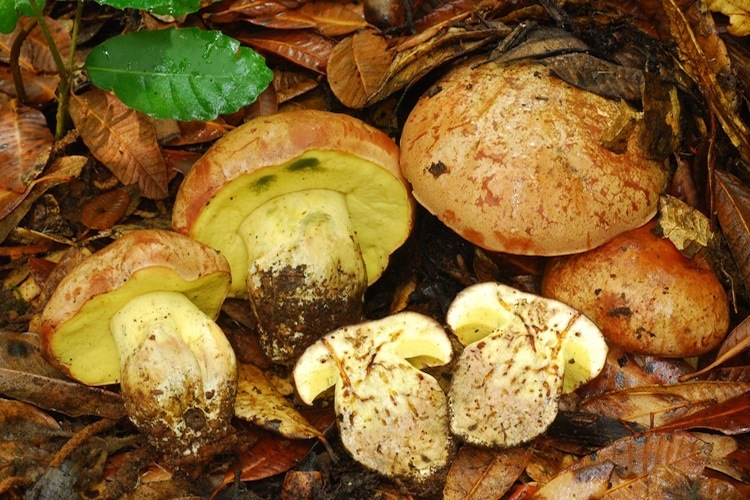 Separated from other bolete genera by the reticulate stipes, yellow flesh, and mild taste.